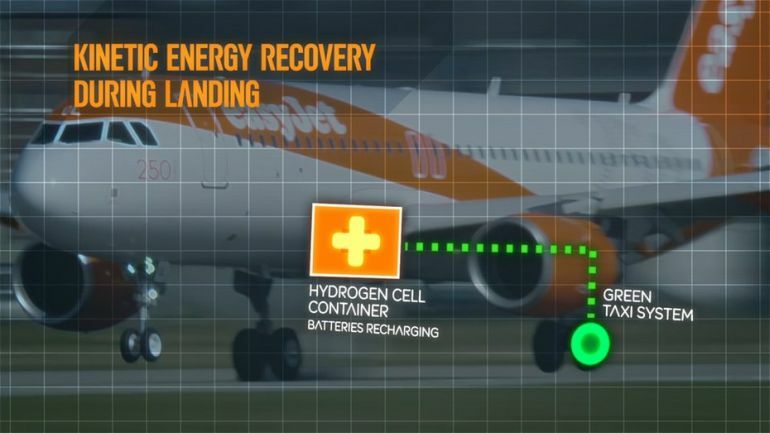 European airline easyJet is working with Cranfield University students to develop an advanced hybrid hydrogen fuel system that can function at zero emissions. If adopted, the technology could help save up to 50,000 tonnes (around 55,115 tons) of aircraft fuel each year, while also reducing environmentally-harmful CO2 emissions. According to the developers, the system will be capable of harvesting energy every time a plane brakes during landing. At easyJet, we are continuing to apply the use of new digital and engineering technologies across the airline. The hybrid plane concept we are announcing today is both a vision of the future and a challenge to our partners and suppliers to continue to push the boundaries towards reducing our carbon emissions. The concept was originally developed by aerospace students at Cranfield University, as part of a competition held last year on easyJet’s 20th birthday. 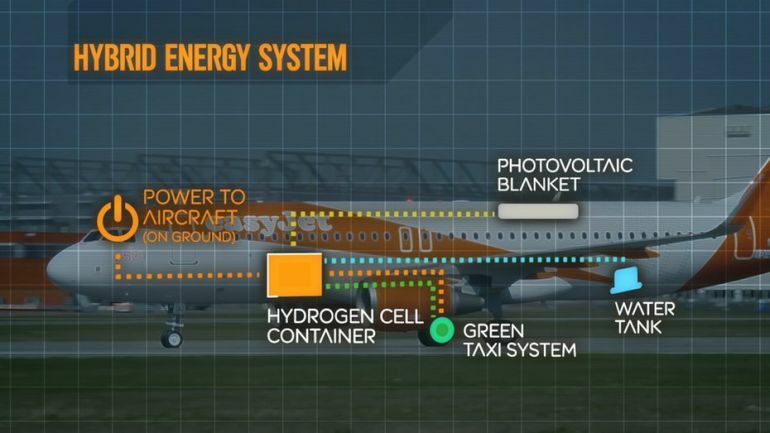 As the team points out, the system could be used to provide energy for airplane taxiing. Most of the airline’s flights are short-haul, running for less than 3 hours. This, together with their high frequency, means that the company spends a major chunk (around 4-percent) of its total fuel on taxi operations. According to the airline’s spokesperson, each of the airplanes has an average taxi time of about 20 minutes per fight, which translates to over four million miles per year. The new technology, the developers believe, could reduce the amount of fuel needed for aircraft taxiing. What is more, the team is currently trying to add motors to the plane’s main wheels, as well as special system controllers that would allow pilots to control all aspects of the aircraft, including speed, braking and direction, when taxiing. This could in turn lower, if not fully eliminate, the need for pushback or tugs to guide the plane in and out of its stands. Our students have showcased some exciting ideas for the 2035 vision of the airline industry through The Future of Flight competition, presenting environmental solutions, operational improvements and ideas to enhance the customer experience. We’re looking forward to developing this concept further. The team is also working on a number of other concepts, including shape-shifting wings, an innovative shark skin-like coating that could reduce the aircraft’s surface drag and so on.